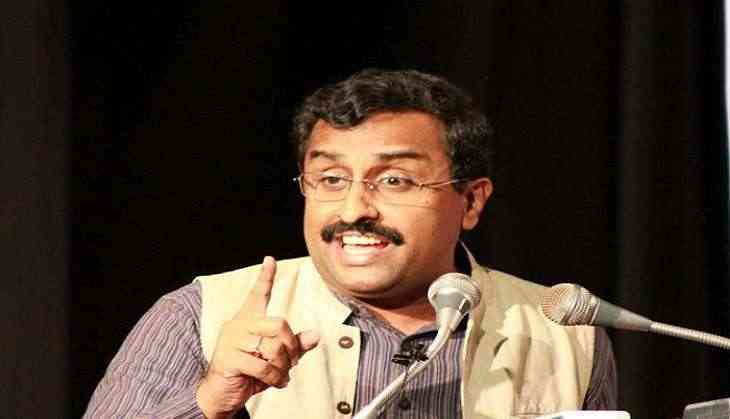 Guwahati (Assam) [India], July 4 (ANI): Bharatiya Janata Party (BJP) general secretary Ram Madhav on Tuesday said the issue with China requires greater attention and needs to be handled in a balanced and patient way. "The issue with China needs to be handled in a balanced and patient way. There are issues that require greater attention by all the concerned countries and leaders and that will be done," Madhav said. The Chinese and Indian security forces posted at Doklam, an area near the Sikkim border, are locked in a standoff for almost a month now. On July 2, the Indian Army rushed additional troops to the area to engage the Chinese People's Liberation Army in a "non-combative mode". This was in response to the Chinese transgression in Doklam where the PLA destroyed two Indian Army forward bunkers, claiming that India was violating its territorial sovereignty. Releasing details of the events that preceded the current impasse, the Indian Army had said its troops prevented the Chinese servicemen and machines from furthering damage or transgressing into the area. Additional forces from nearby brigade headquarters, located 20 km from the face off point, were moved in on June 8 during which a scuffle led to soldiers on both sides suffering minor injuries. This is the longest standoff between the two Armies since 1962.